A married Pennsylvania couple has been sentenced to up seven years in prison for 'gifting' their six daughters to a Bucks County man who was found guilty of sexually assaulting them back in June. Judge Jeffrey L. Finley handed down the sentence to the parents Daniel and Savilla Stoltzfus this afternoon in a Doylestown courtroom. They previously pled guilty to child endangerment. 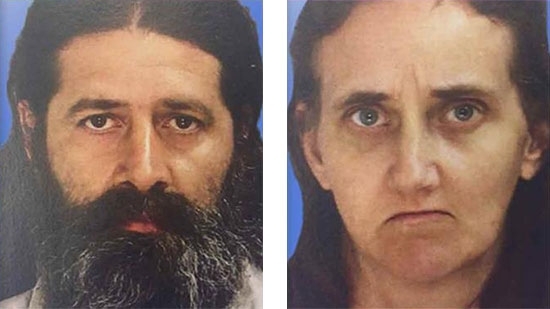 The couple gave each of their young daughters to 52-year-old Lee Donald Kaplan for assisting them financially and spiritually as they broke away from the Amish church. Kaplan took the girls as his 'wives' and even fathered two daughters of his own with one of them. He will be sentenced at a later date. Thousands of roaches invaded a neighborhood in Bridesburg earlier this week. It started with just a few on Sunday night, but by Tuesday, they were pouring out of the manhole covers near Salmon and Plum Streets. Neighbors were trying their best to spray and stomp but couldn't keep up. The Philadelphia Water Department came out and flushed the man hole cover and vacuumed the inlets of debris. The Health Department then sprayed the sewers with insecticide. Hopefully the pests will stay away. Police have responded after a body was found in a lake in Camden County this afternoon. It happened around 3 p.m. in the area of Knoll Drive in Blackwood, Gloucester Township, NJ. No word yet on what has been found.